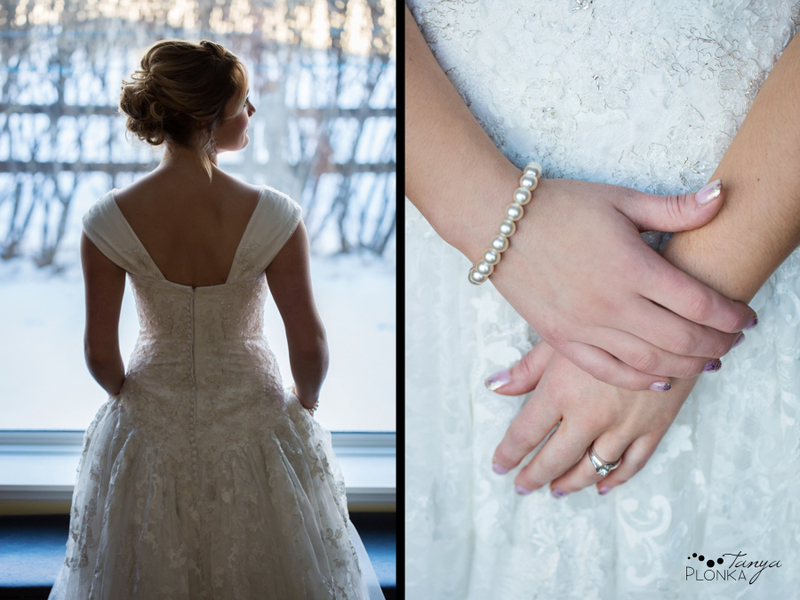 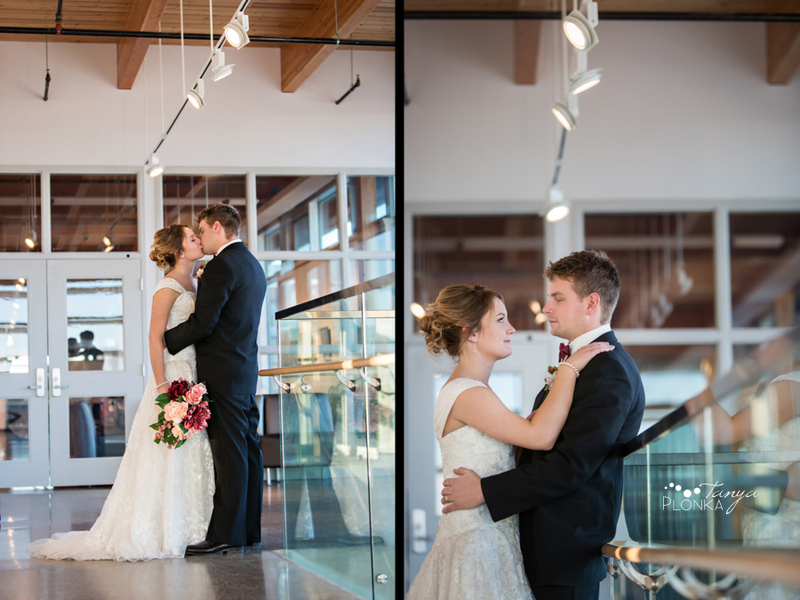 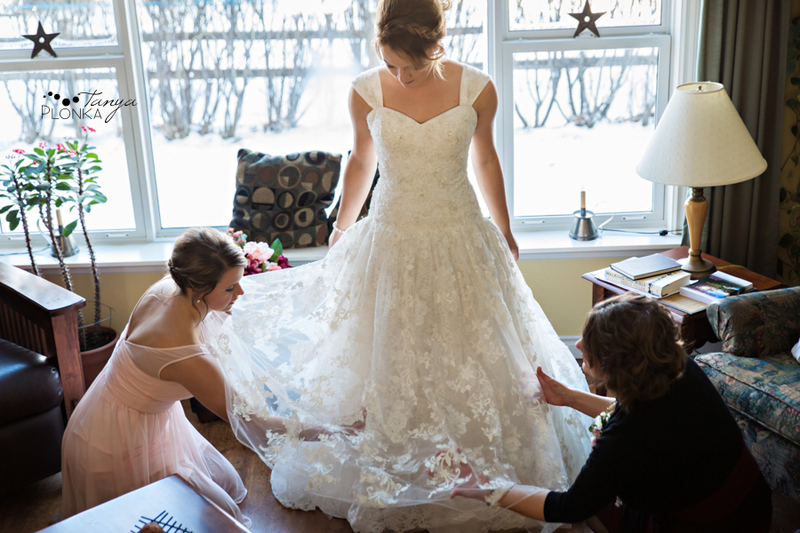 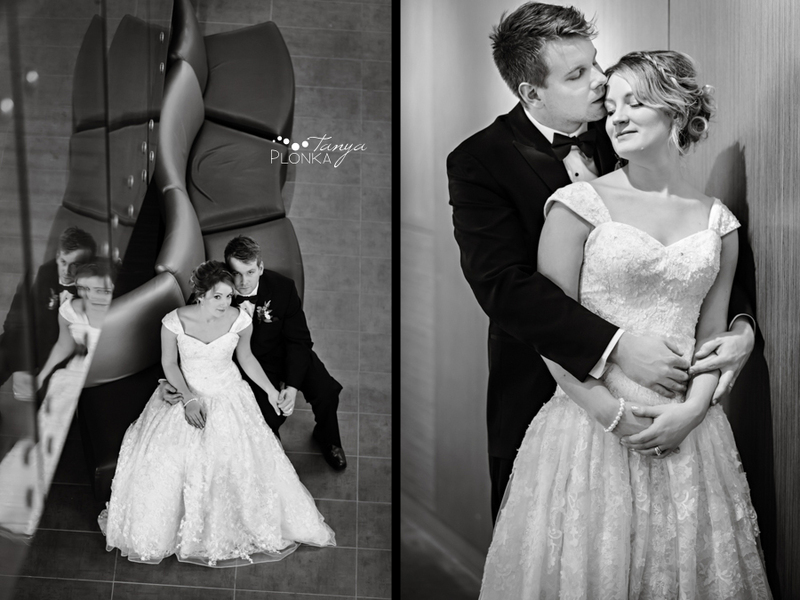 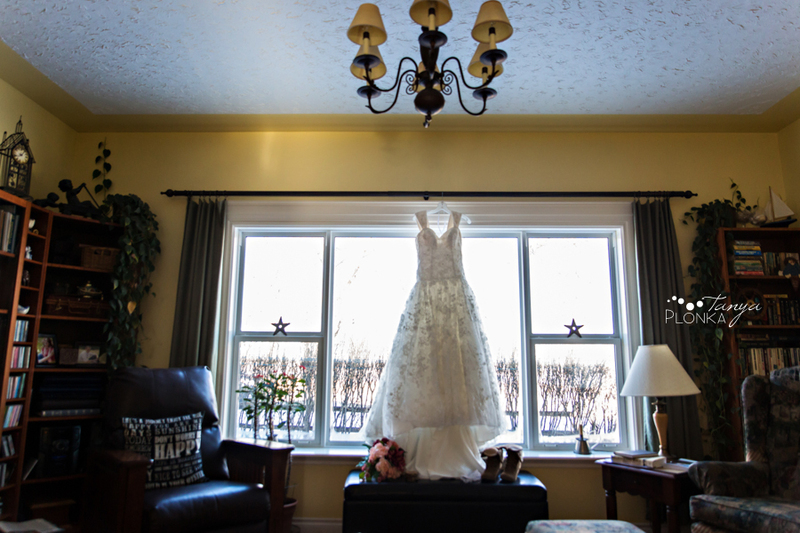 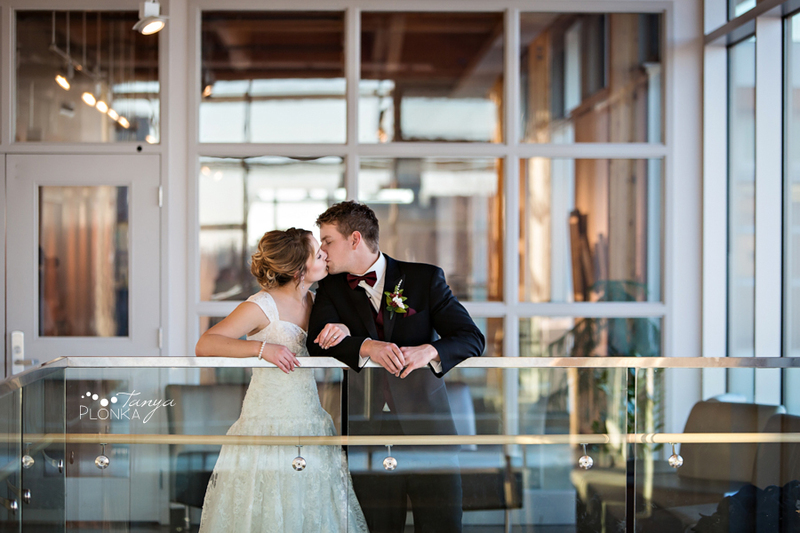 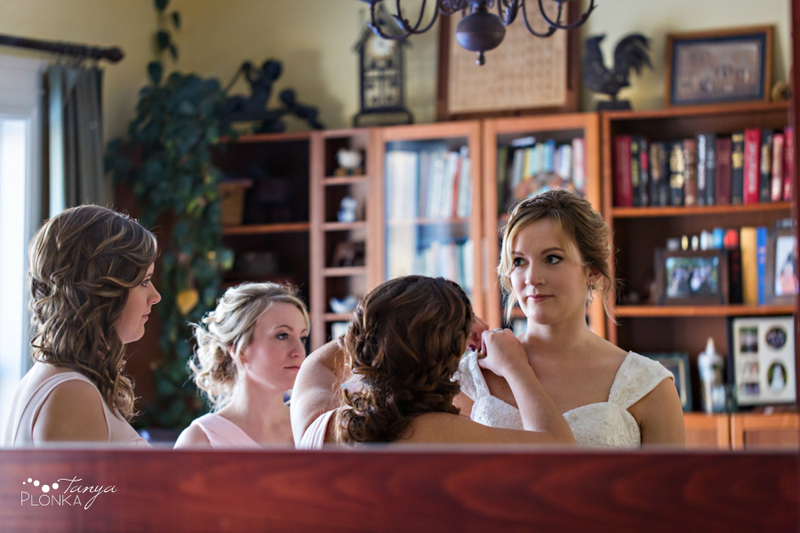 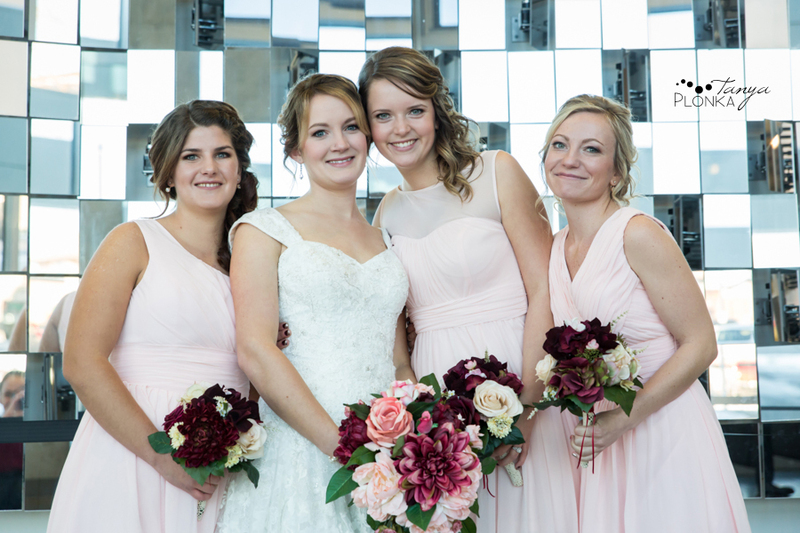 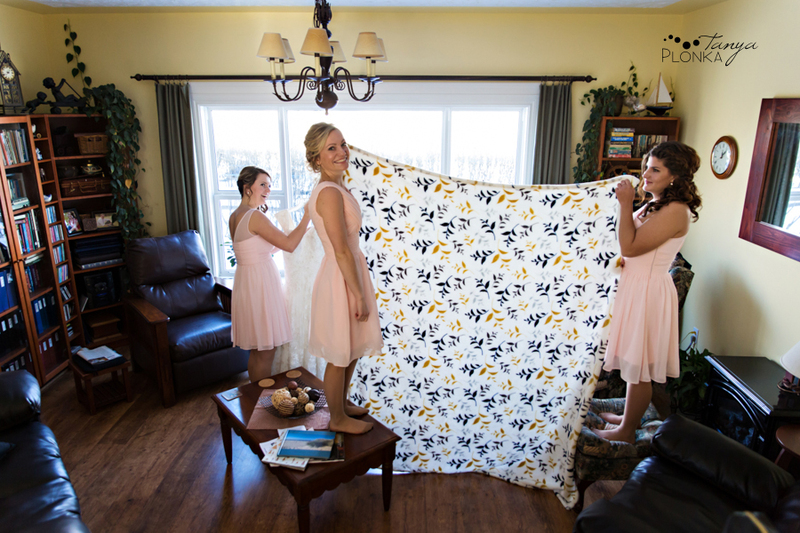 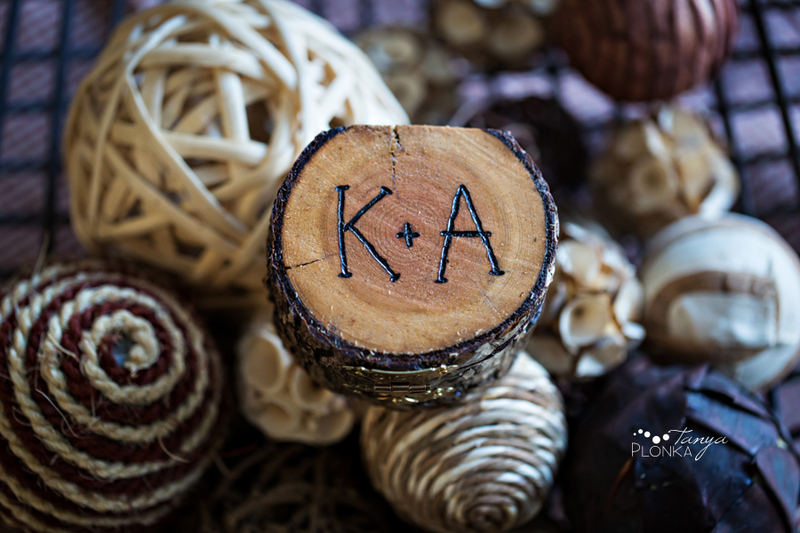 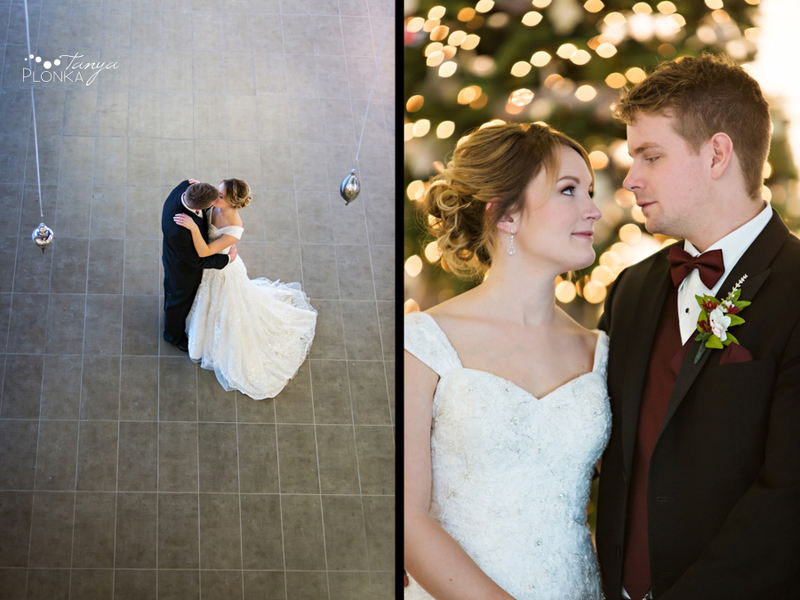 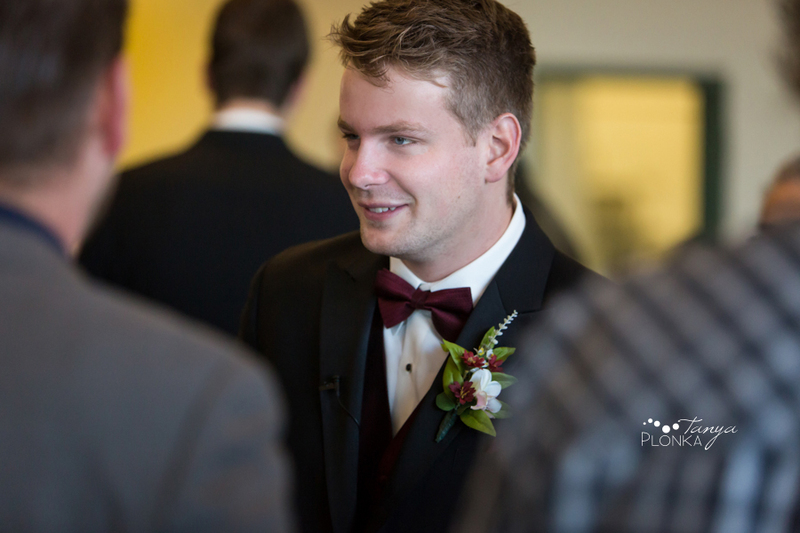 After standing beside her friend earlier this year, it was now time for Annelies’s Coaldale winter wedding with her love Kyle! 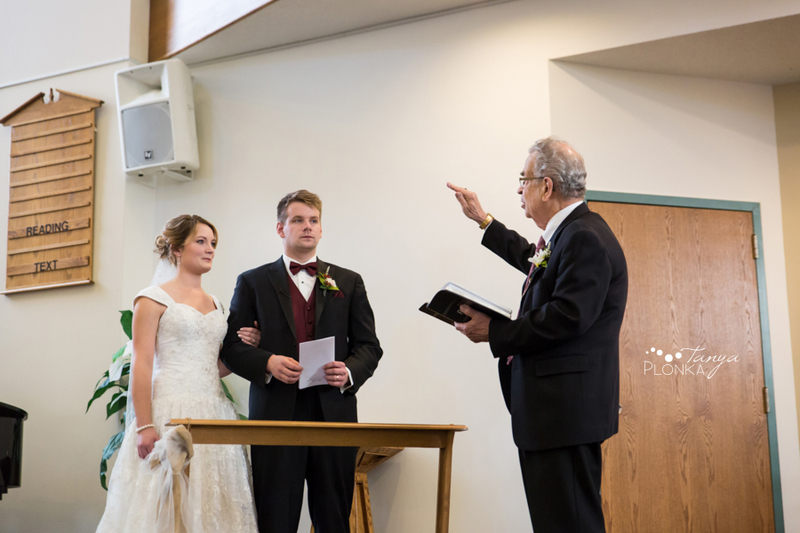 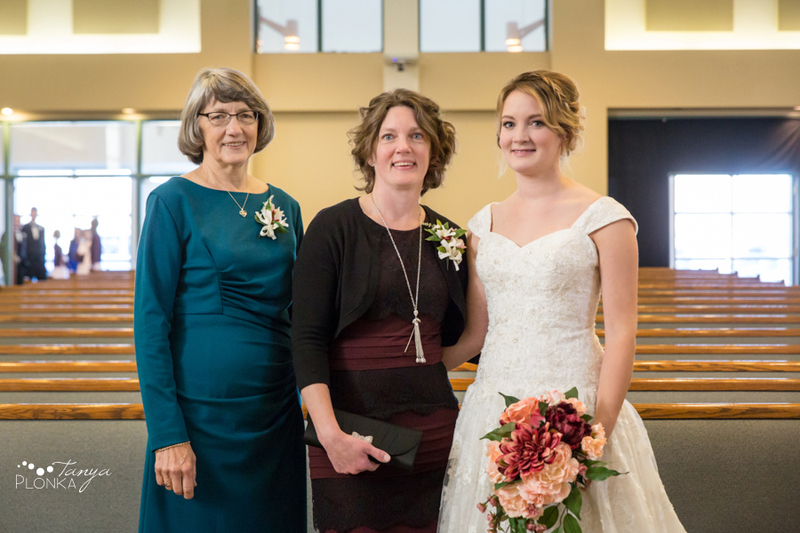 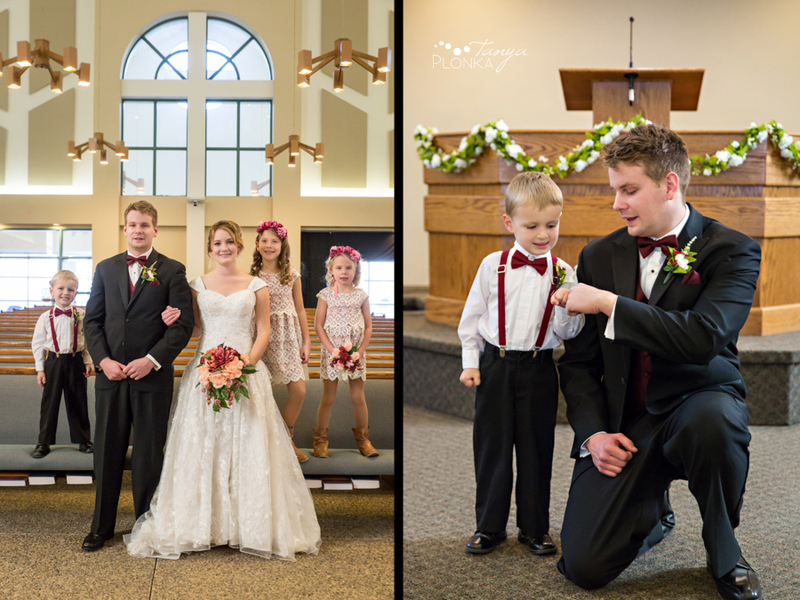 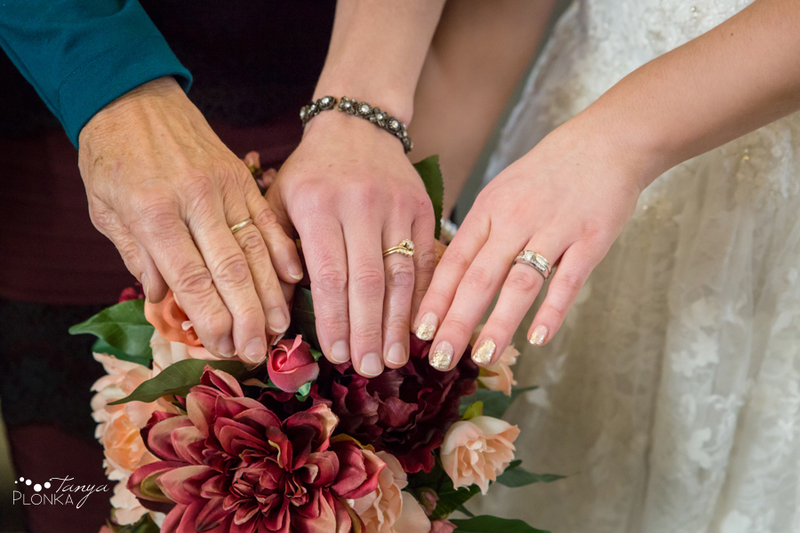 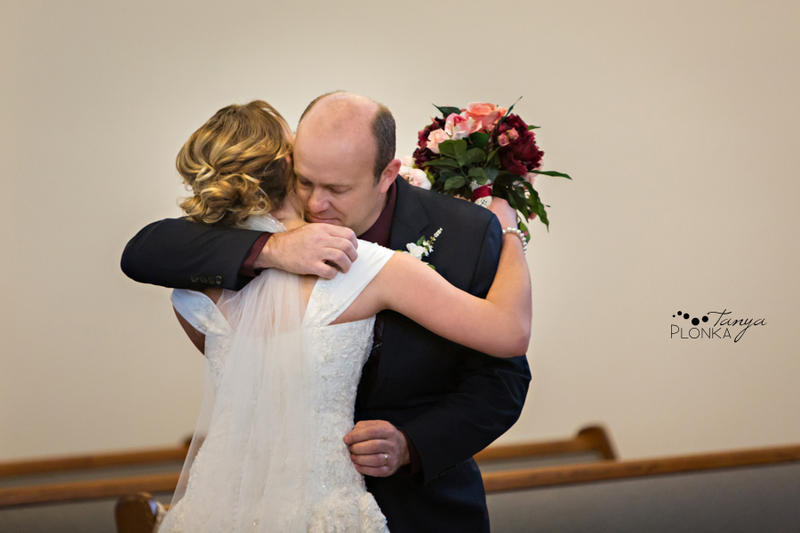 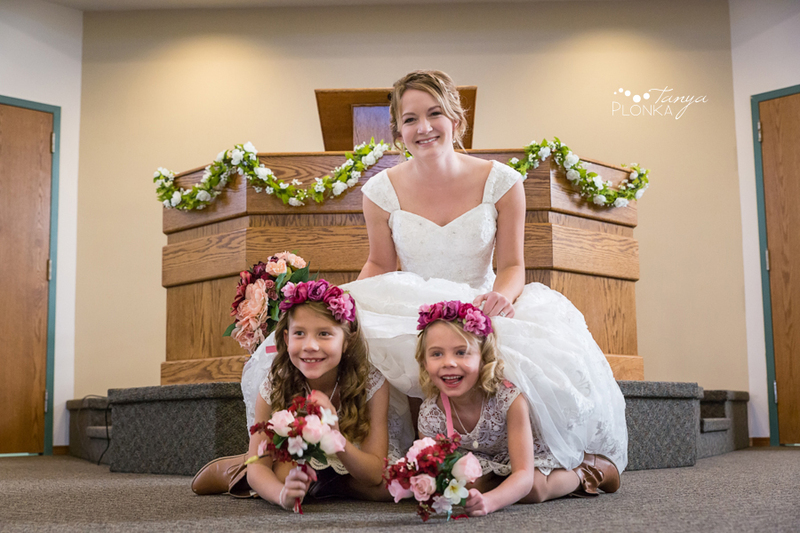 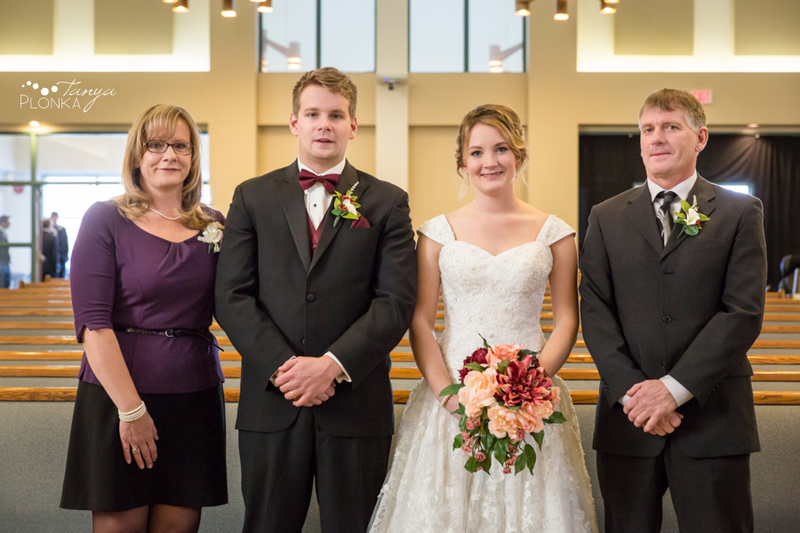 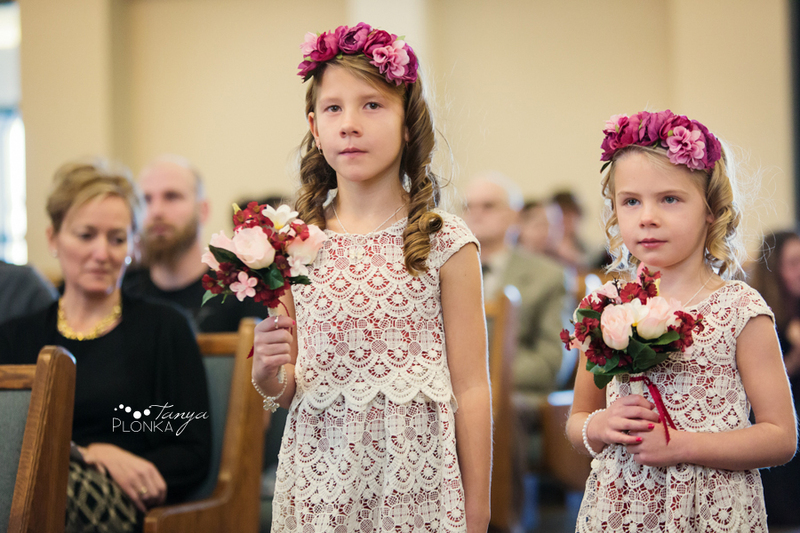 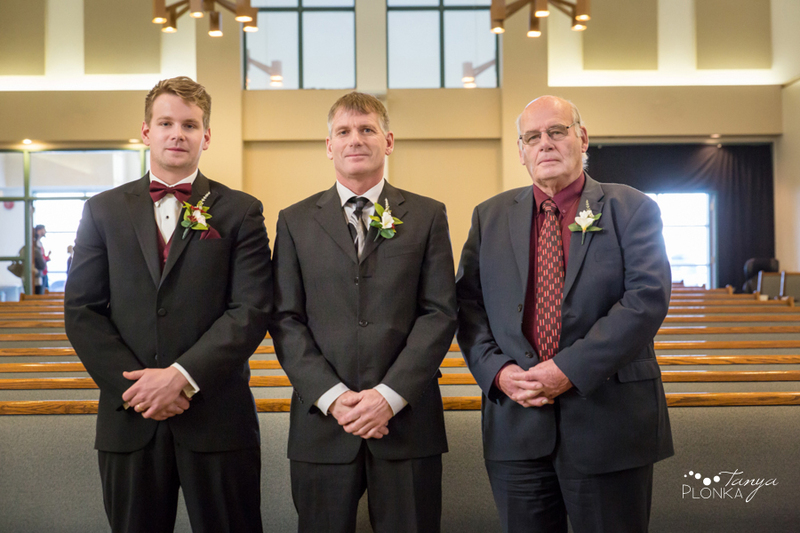 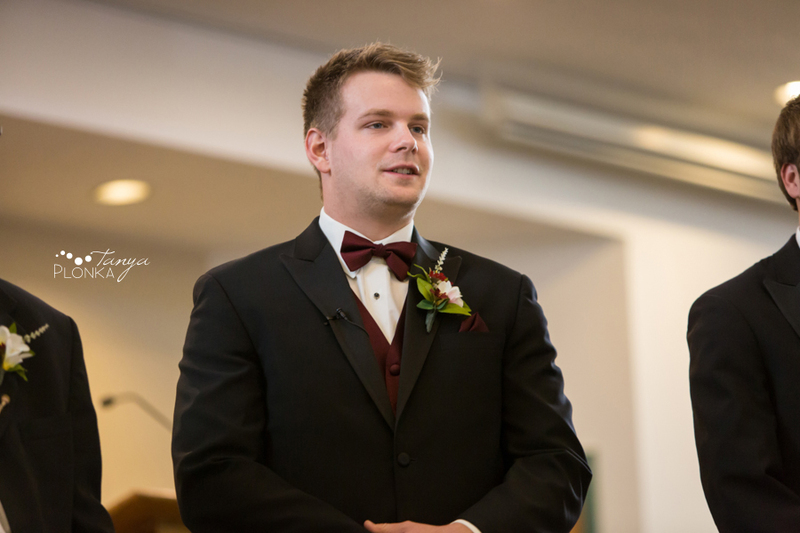 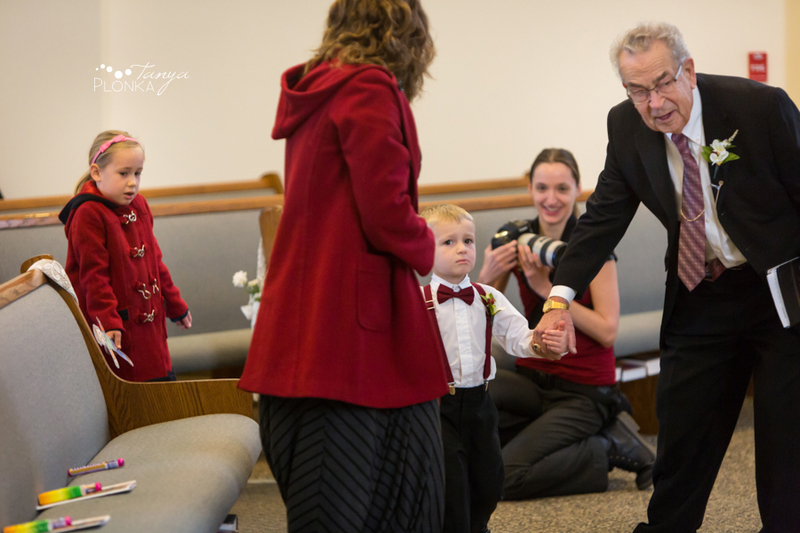 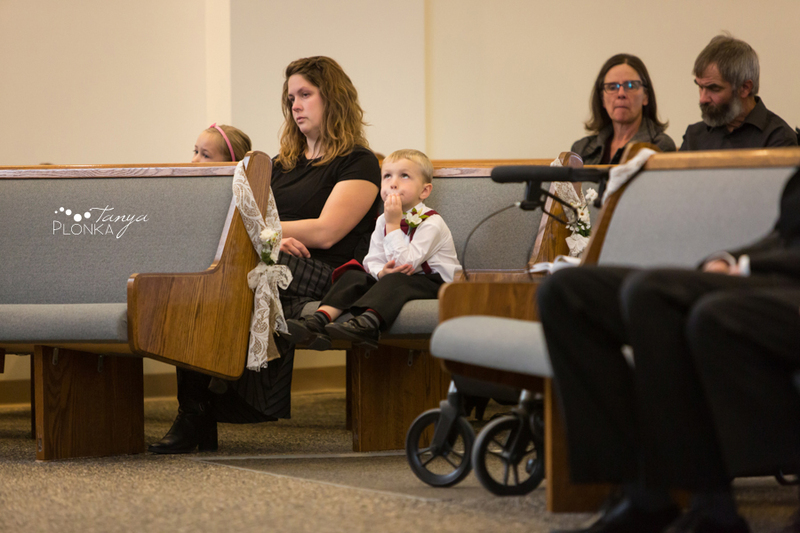 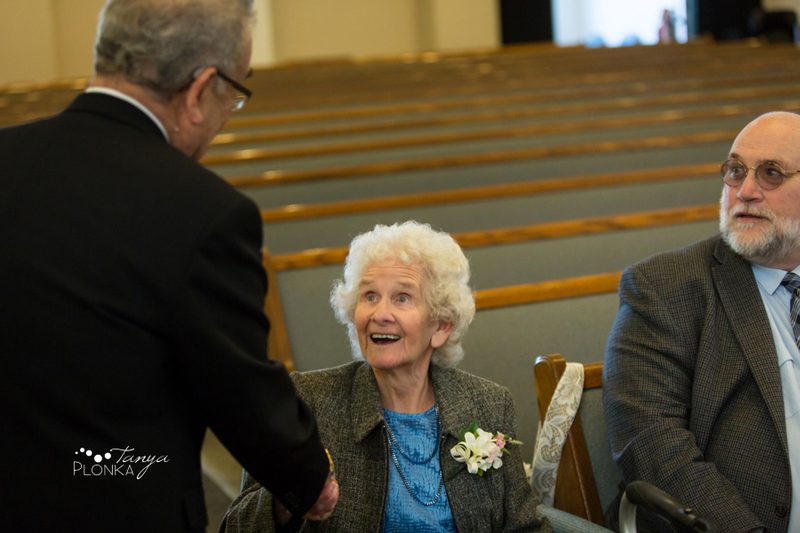 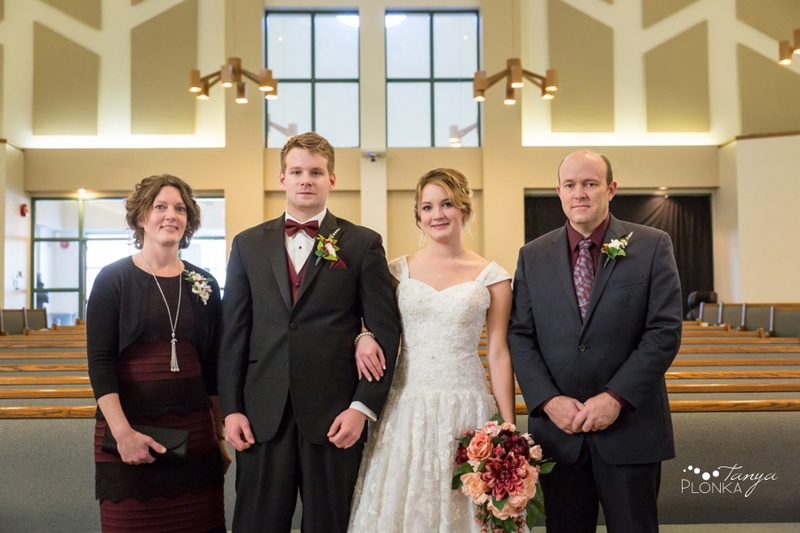 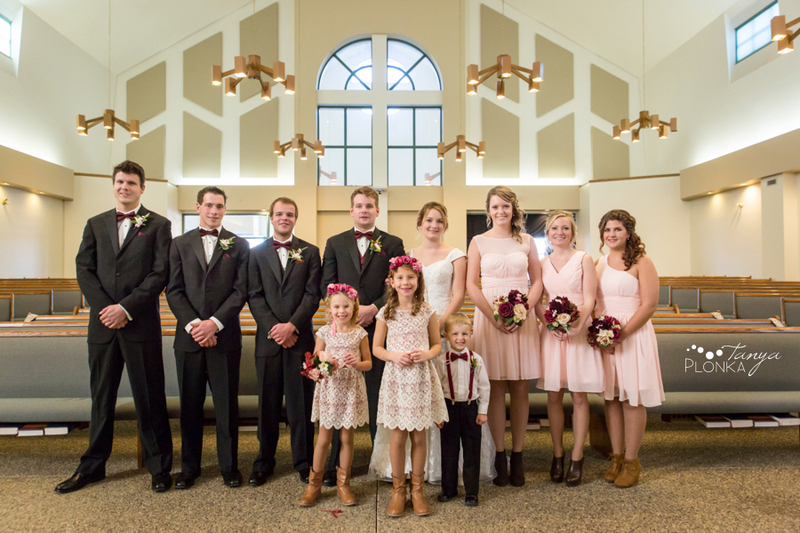 Their ceremony at the Coaldale Canadian Reformed Church was very special in that it was performed by Annelies’s grandfather, and even more so that she is the first of his grandchildren to get married! 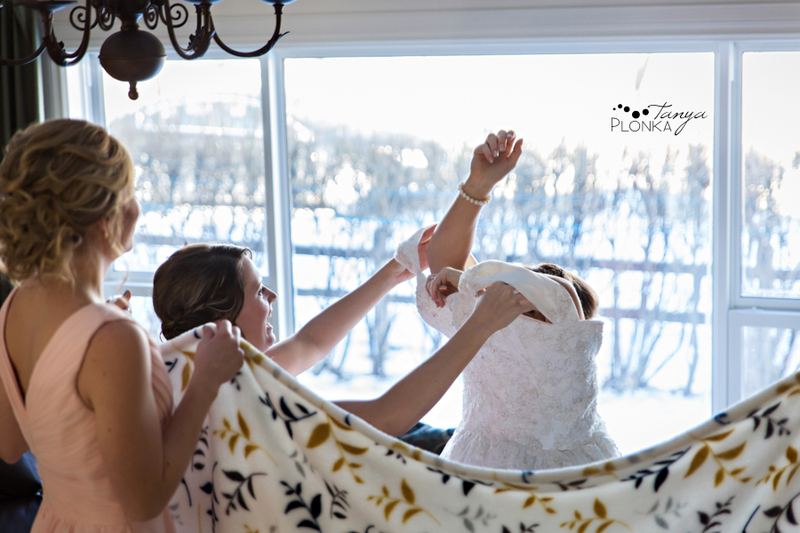 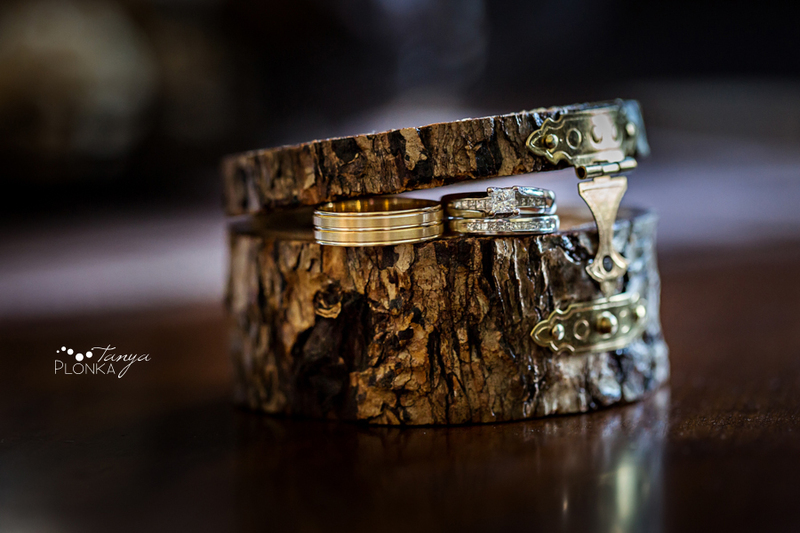 It added such a personal touch to be able to include their family so intimately. 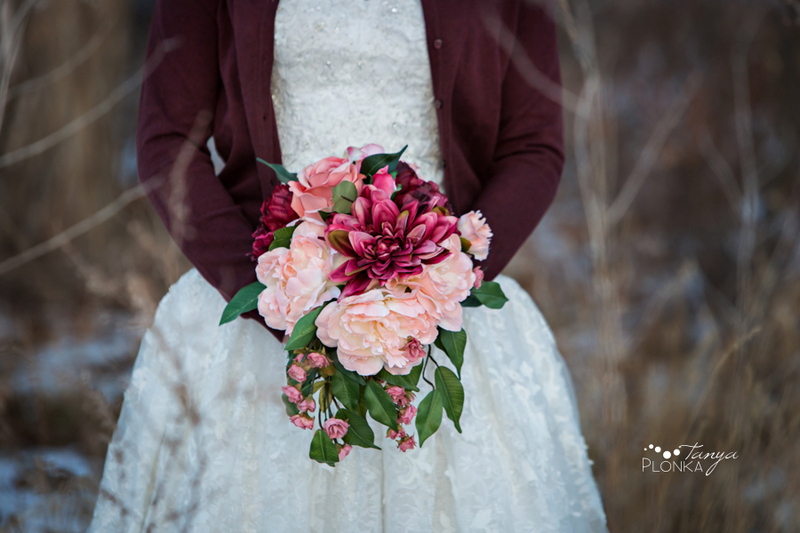 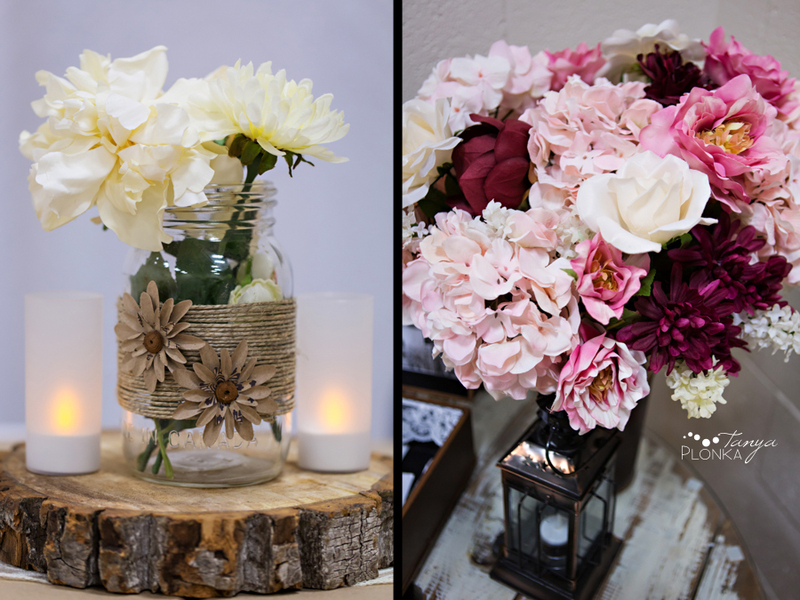 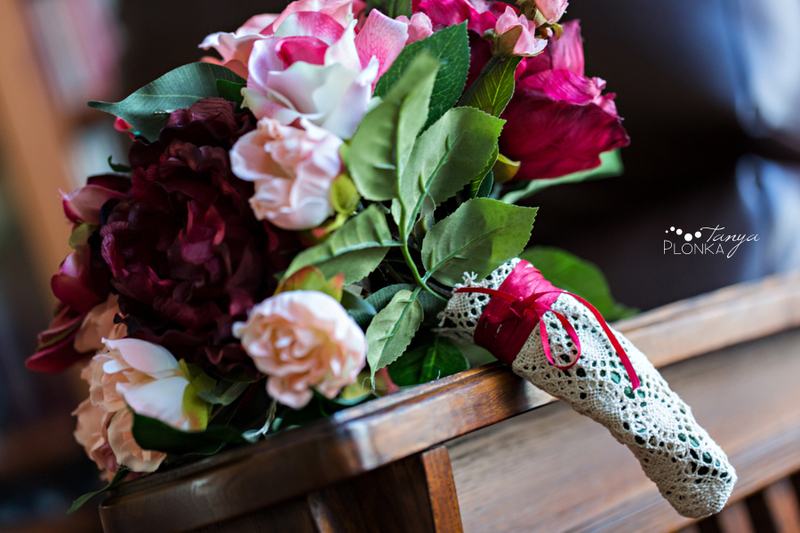 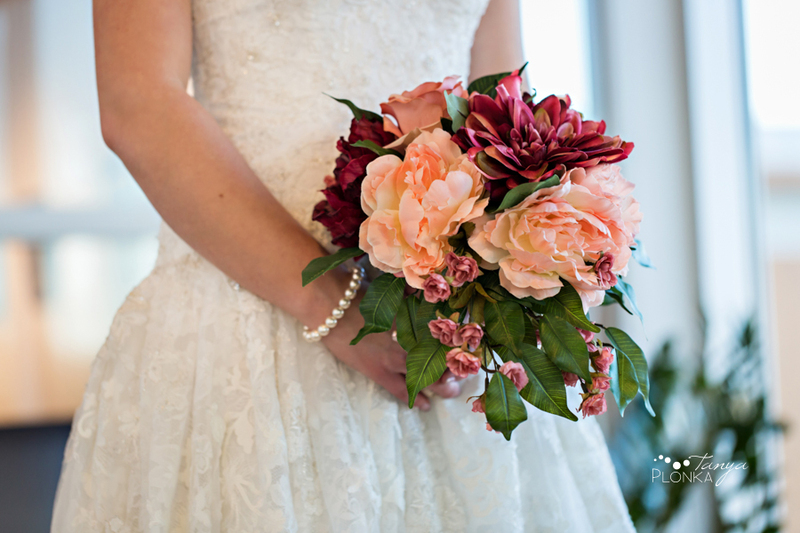 Most of their details were created by people involved in the wedding, but mostly by Annelies who designed all of the paper items and created the bouquets by hand. 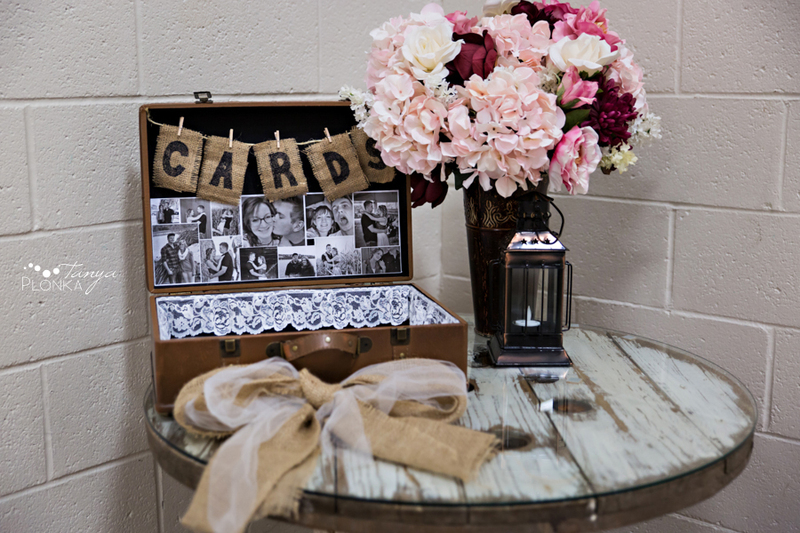 She has so much talent and it’s not surprising she is a graphic designer. 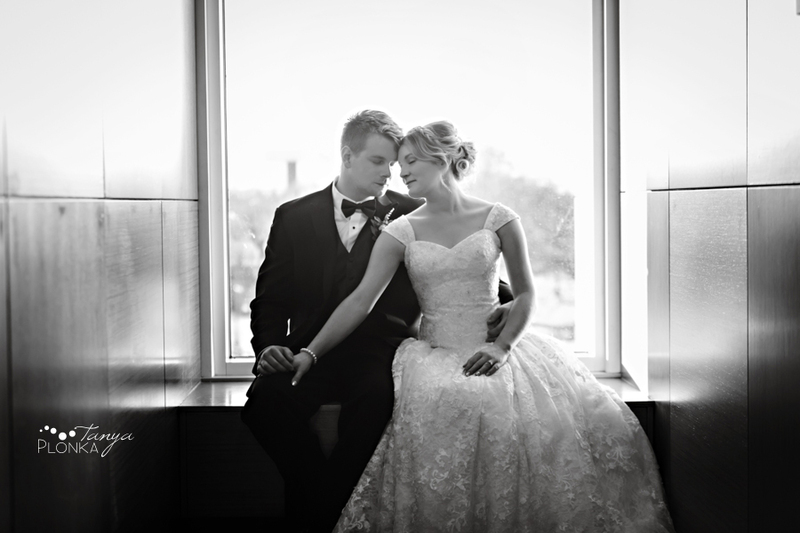 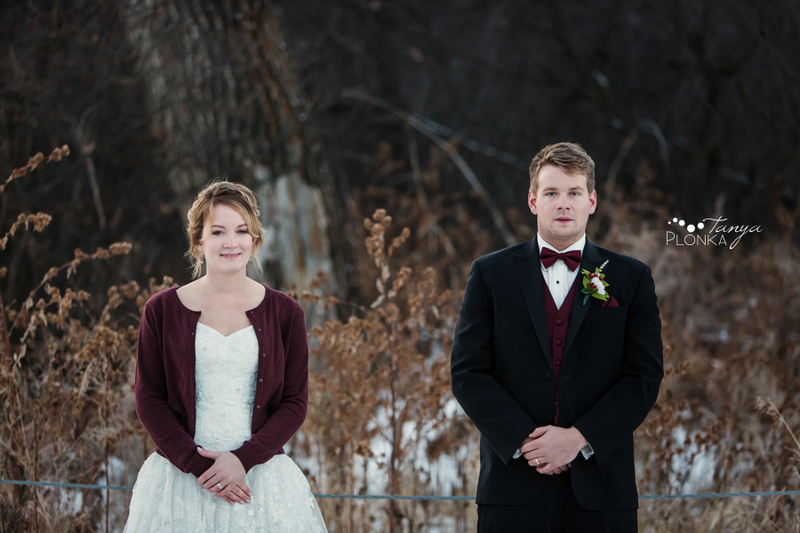 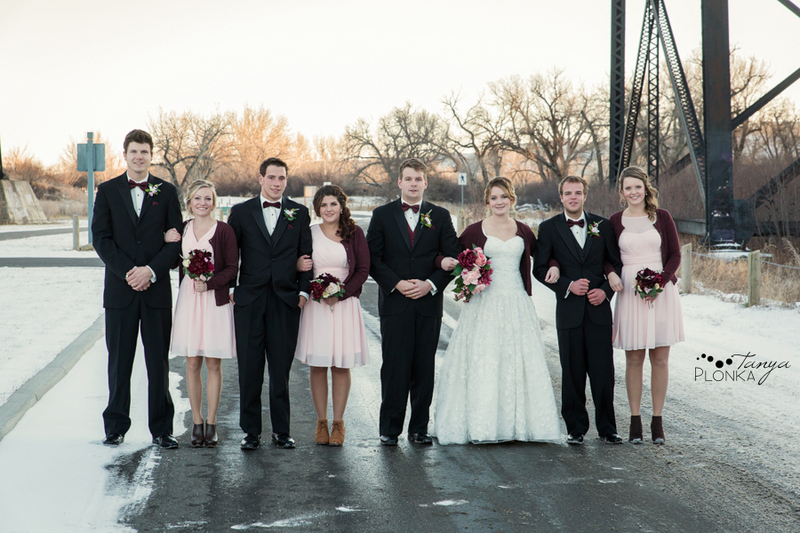 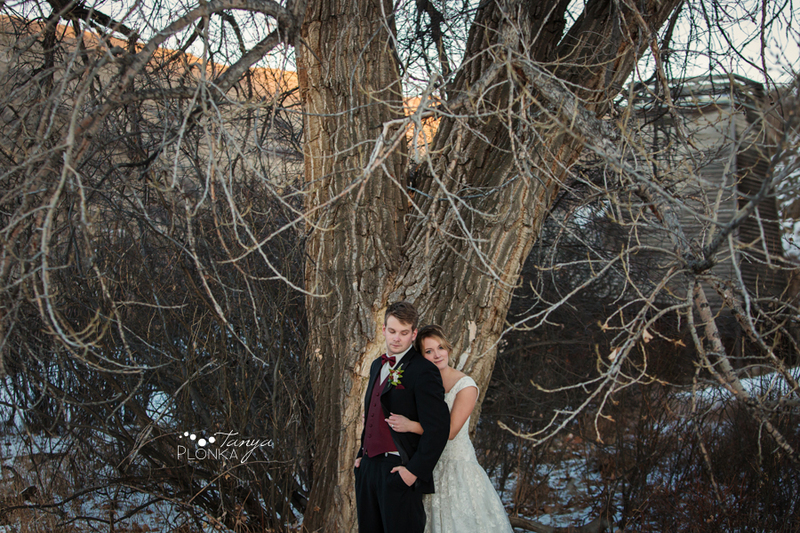 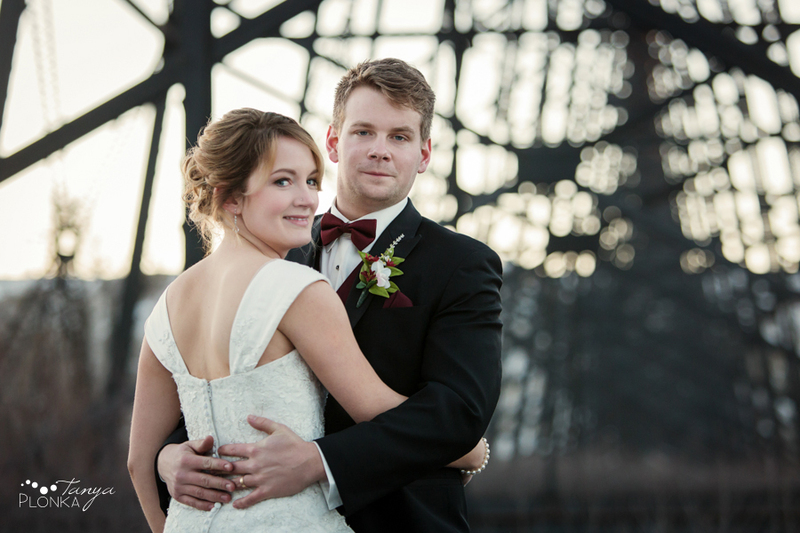 We had the perfect winter weather for their wedding. 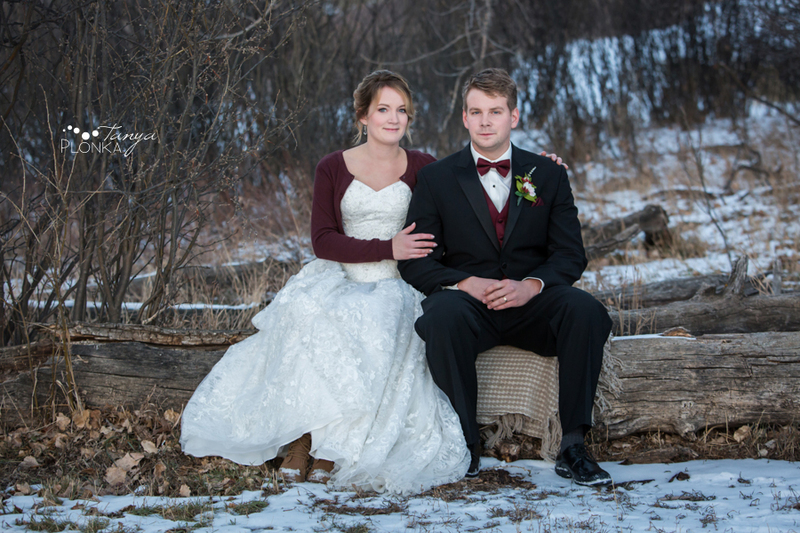 November can be quite unpredictable, but we had a gorgeous mix of snow on the ground and enough sunshine to keep them warm when we went out for photos in Lethbridge. 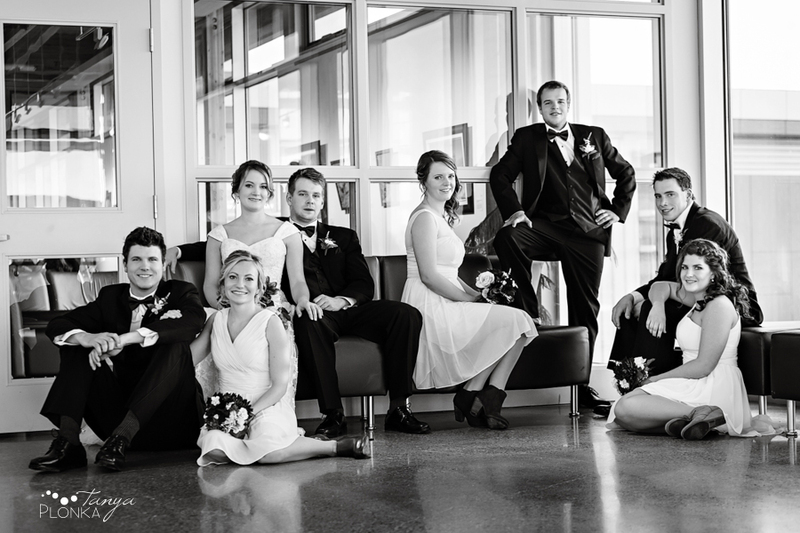 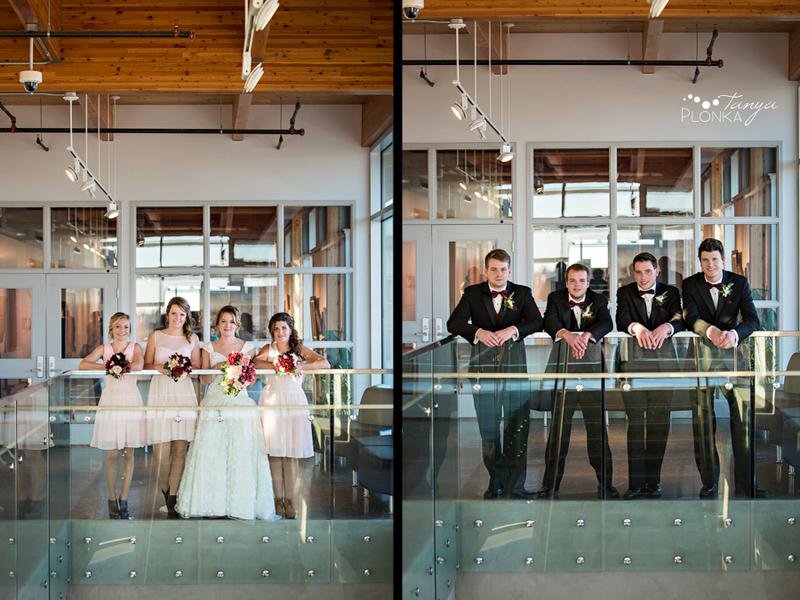 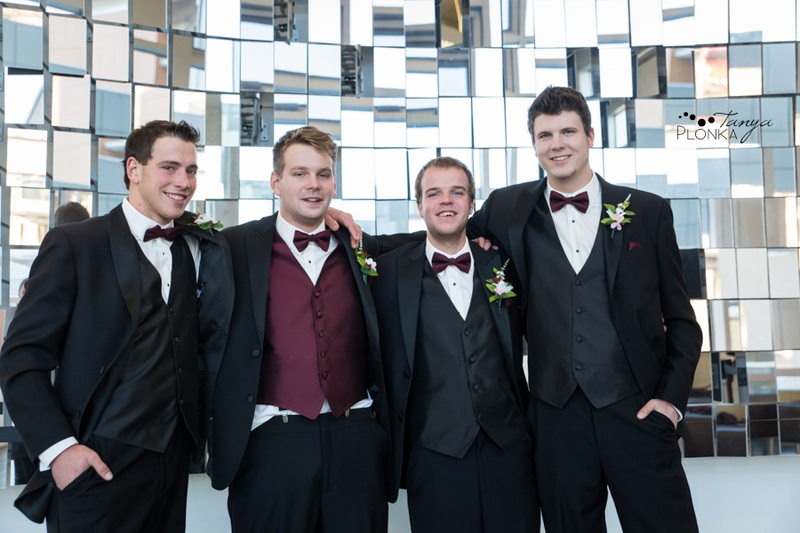 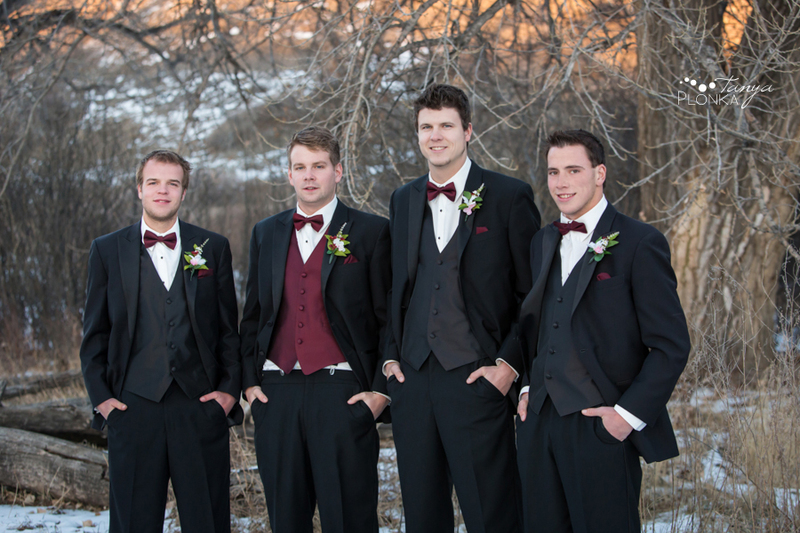 Their wedding party was so fun and energetic and it was great to see a few familiar faces in the lineup. 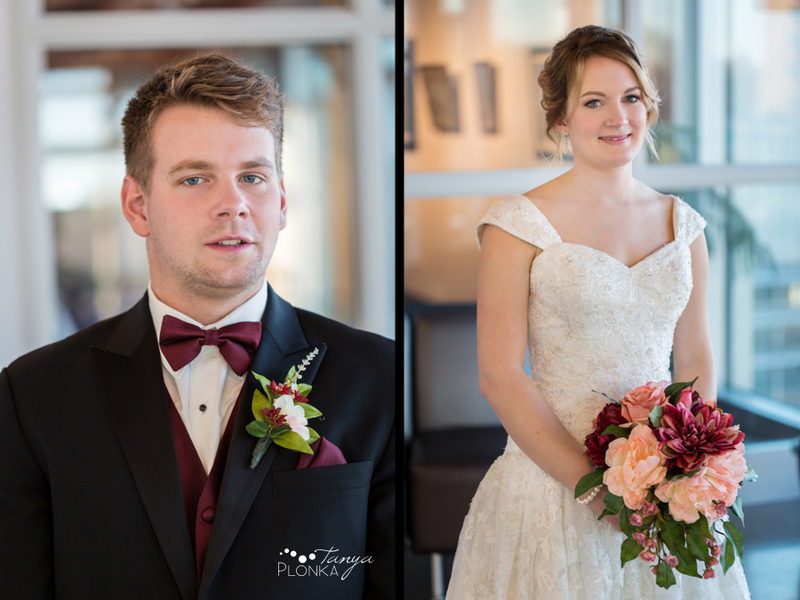 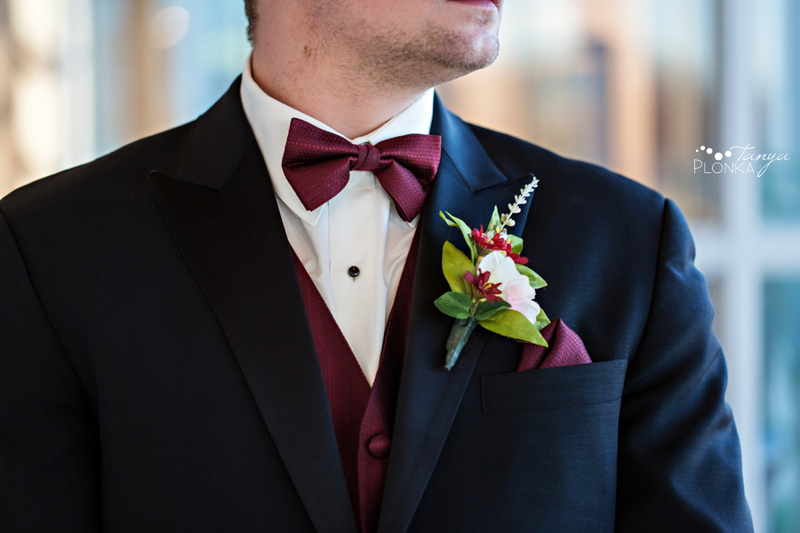 Annelies and Kyle are such a sweet and romantic couple and they really accented that feel with their styling of blush pink, wine, bow ties, and cardigans. 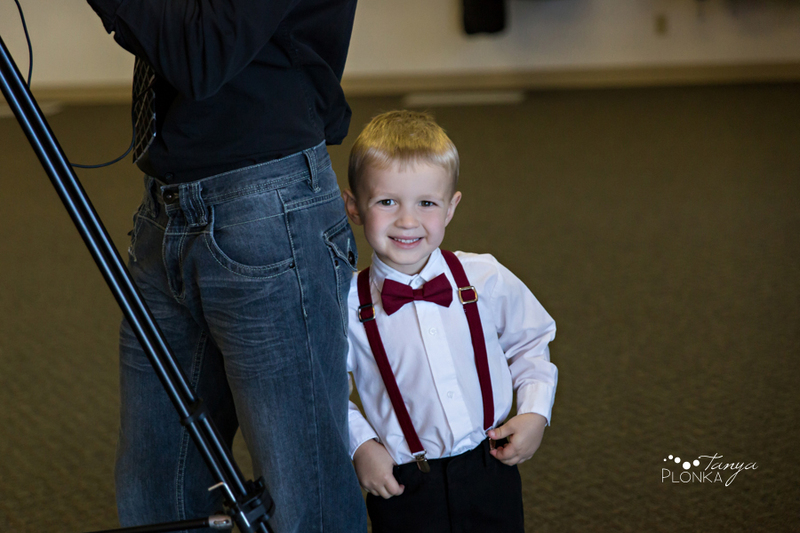 The ring bearer was a pro in front of the camera but once it came time to walk down the aisle, he panicked a little. 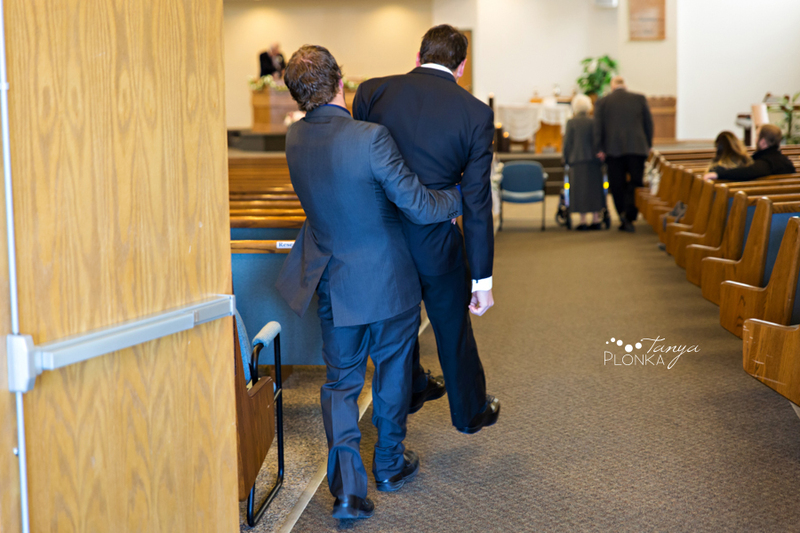 It took some team work to get him to the front! 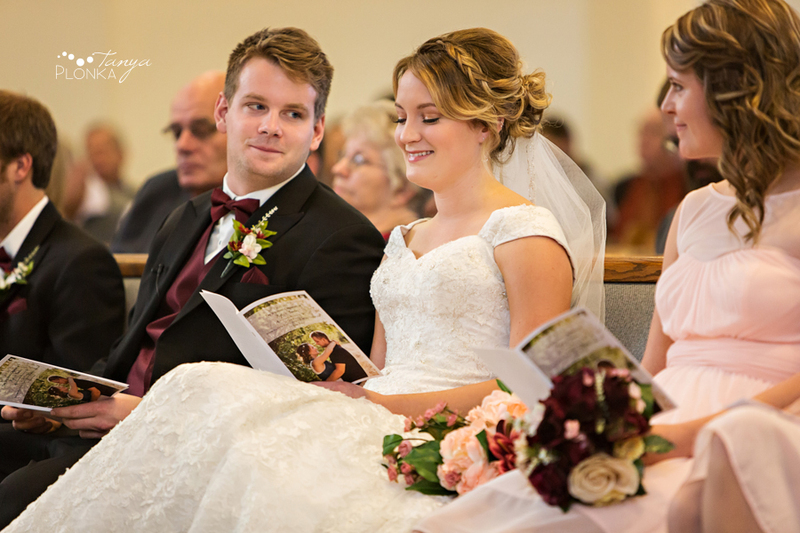 Kyle kept sneaking glances at Annelies during the sermon. 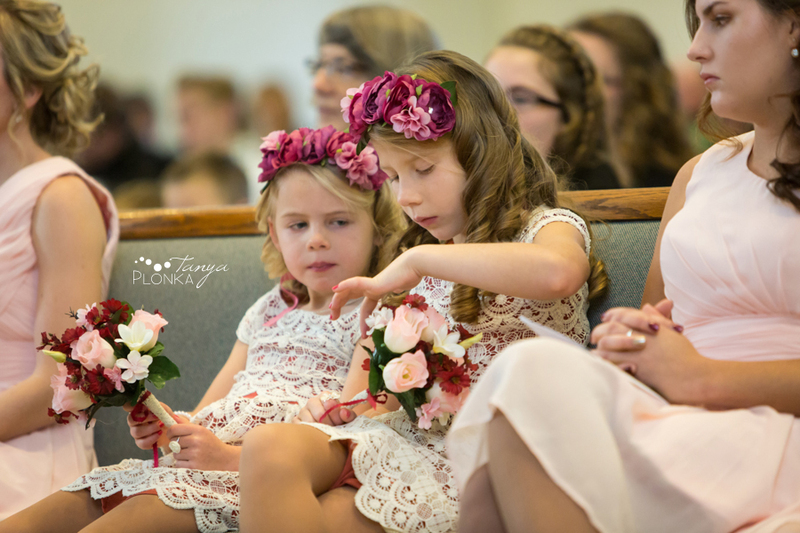 We kept the family formals inside the church due to the weather and I wondered why we haven’t done them there before. 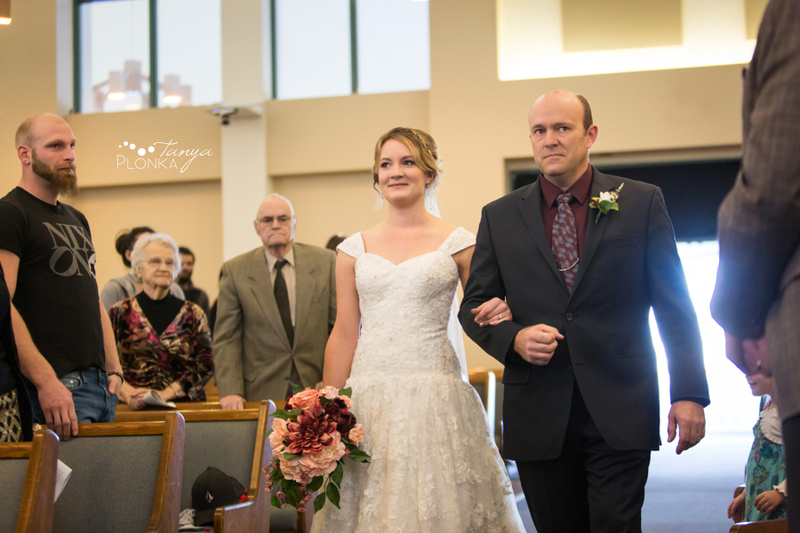 The architecture is beautiful when you turn around to face the pews! 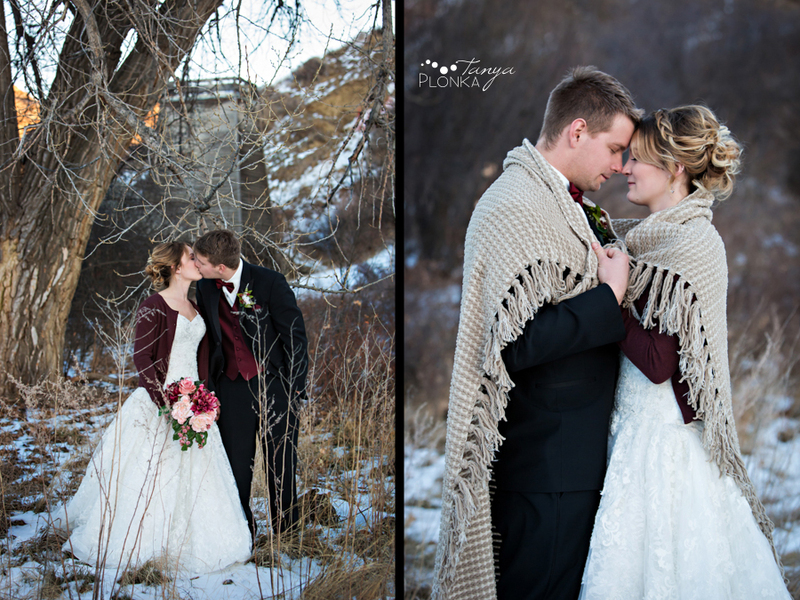 For portraits we headed over to Lethbridge and started with Casa to keep everyone warm and dry. 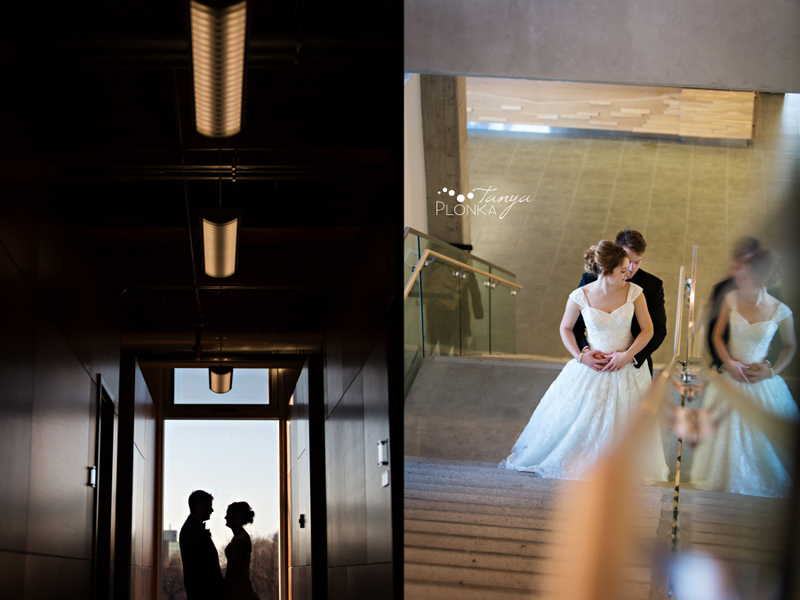 The arts building looked so great with the classy style they chose. 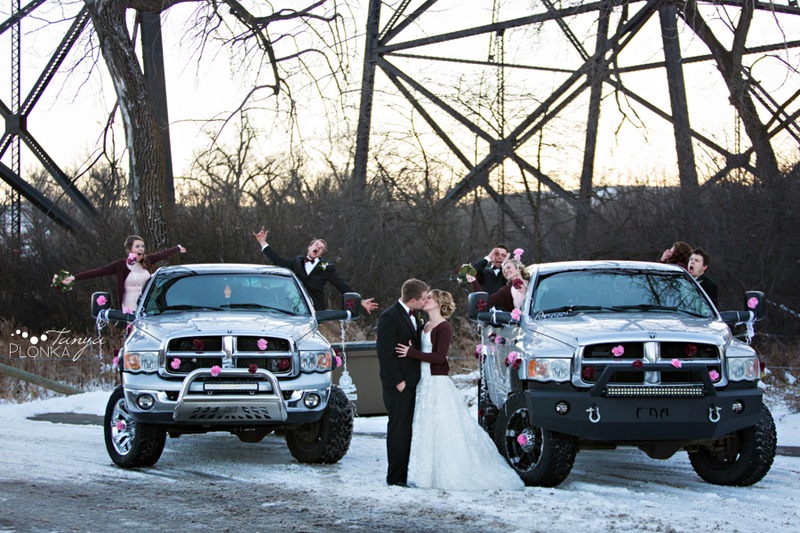 Time for the snow! 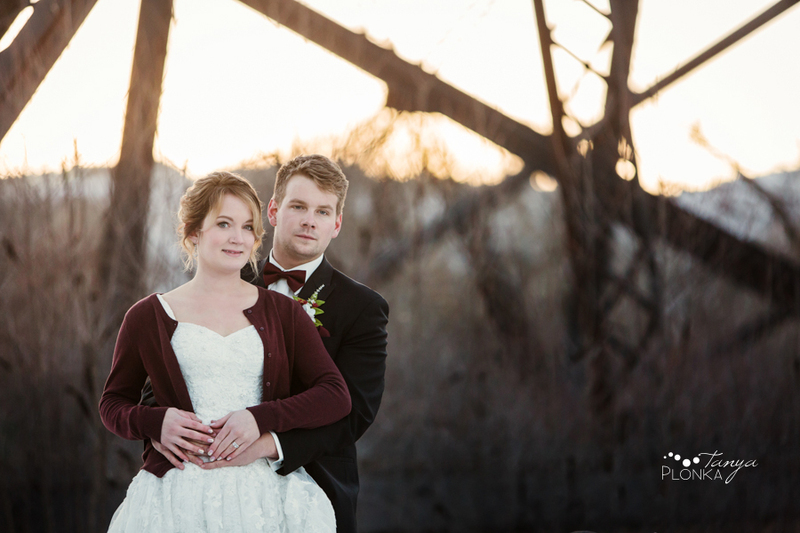 We drove down to Indian Battle Park just as the sun was setting, giving a gorgeous warm glow in the background of the photos. 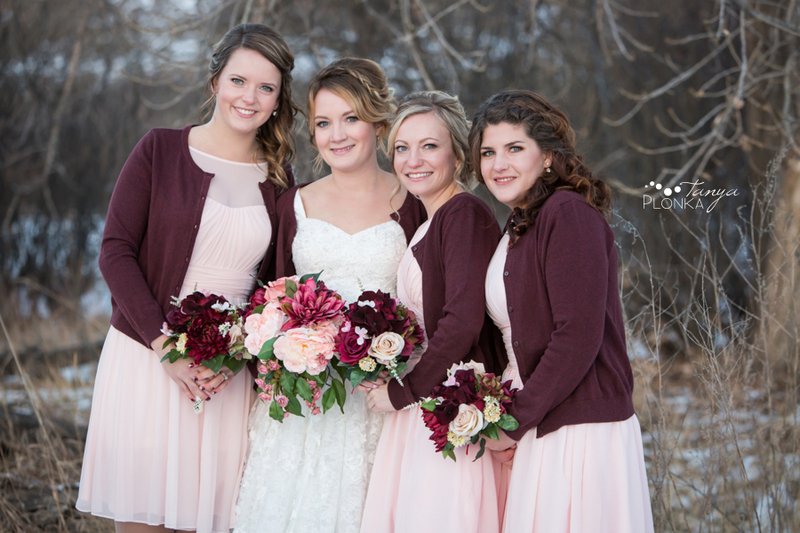 The girls picked out wine colored cardigans to stay warm and match the men’s details. 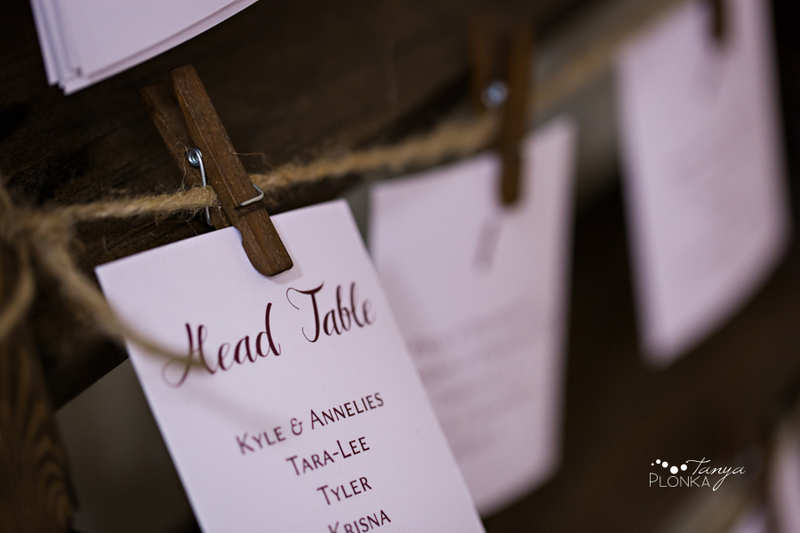 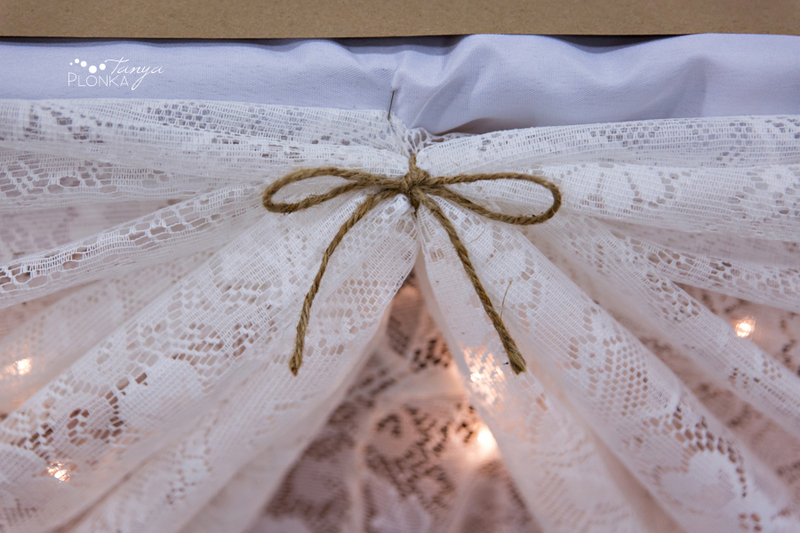 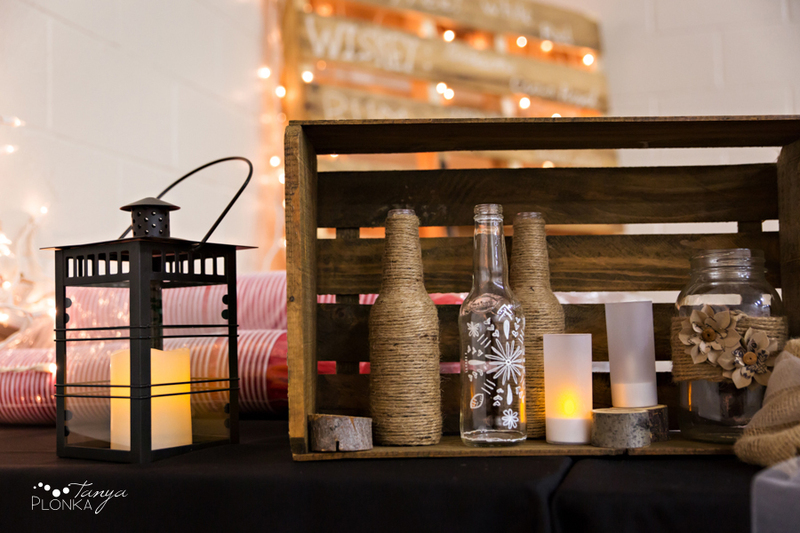 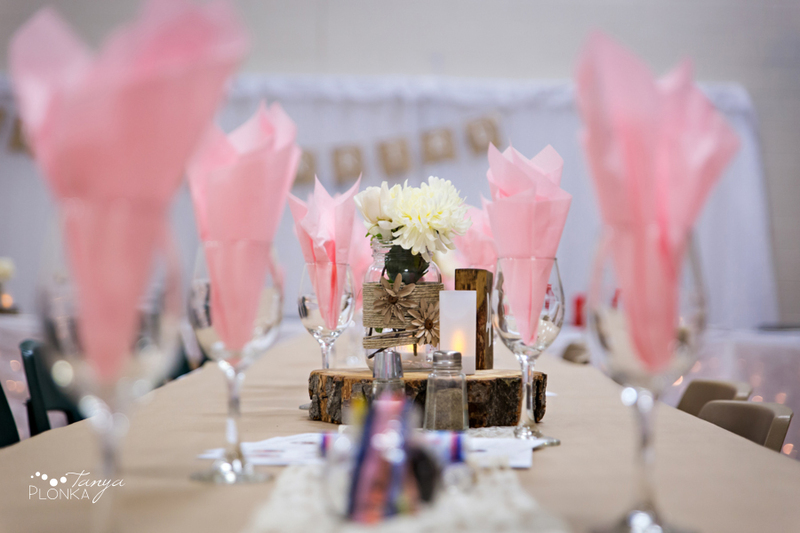 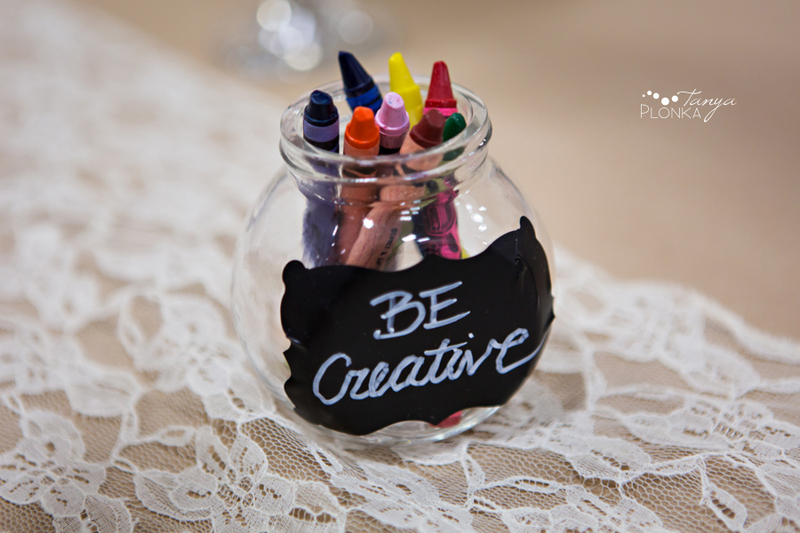 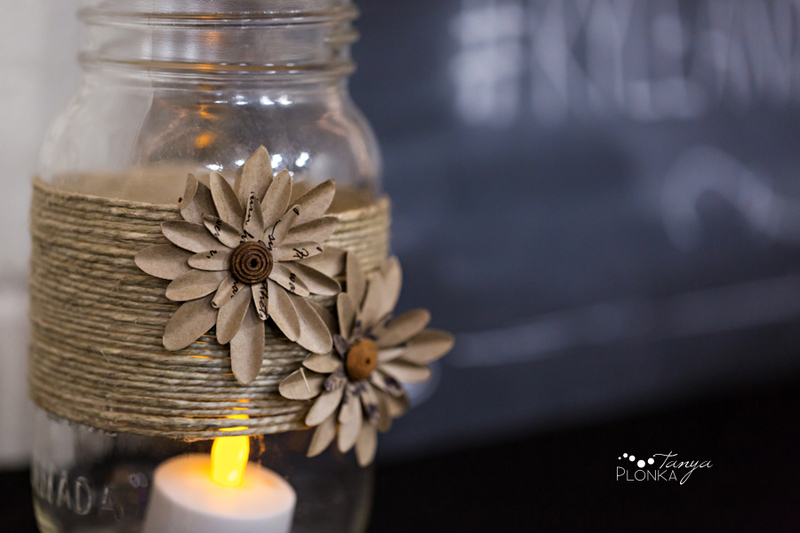 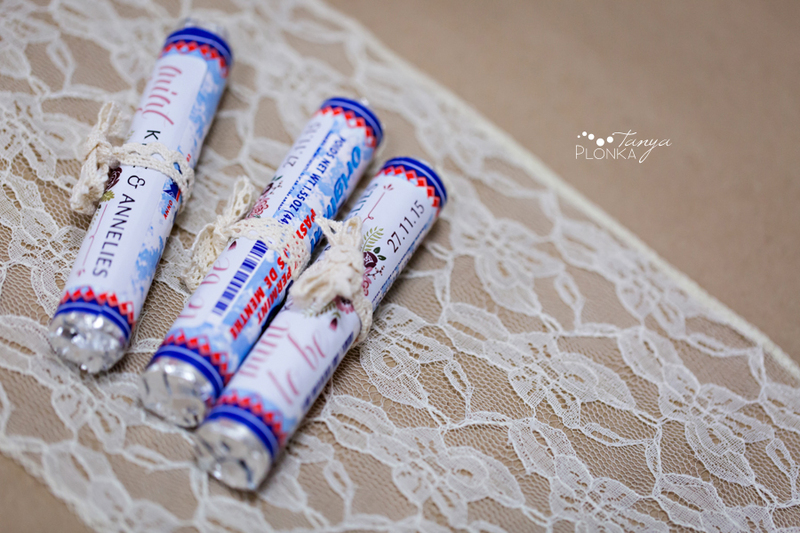 Annelies put a lot of work into her handmade reception details!